Our warehouse is well constructed and equipped with all required amenities essential for a safe storage of the products. We also make sure that proper hygienic conditions should be maintained inside the unit. We are a quality centric organization, offering the best-in-class products that are manufactured using the experts approved and certified raw material procured from reliable sources. 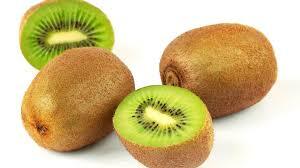 Our fresh kiwi fruit is loaded with a rich taste and has a high nutritional value of vitamin C.